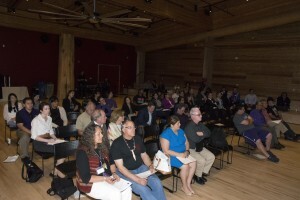 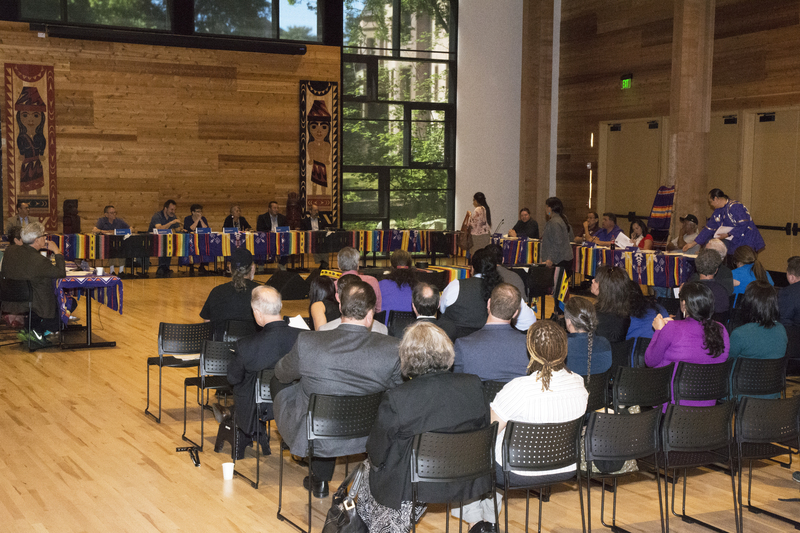 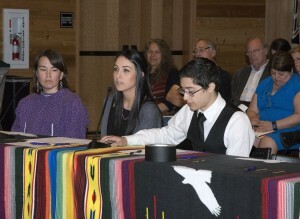 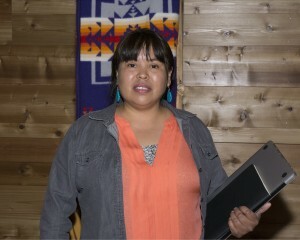 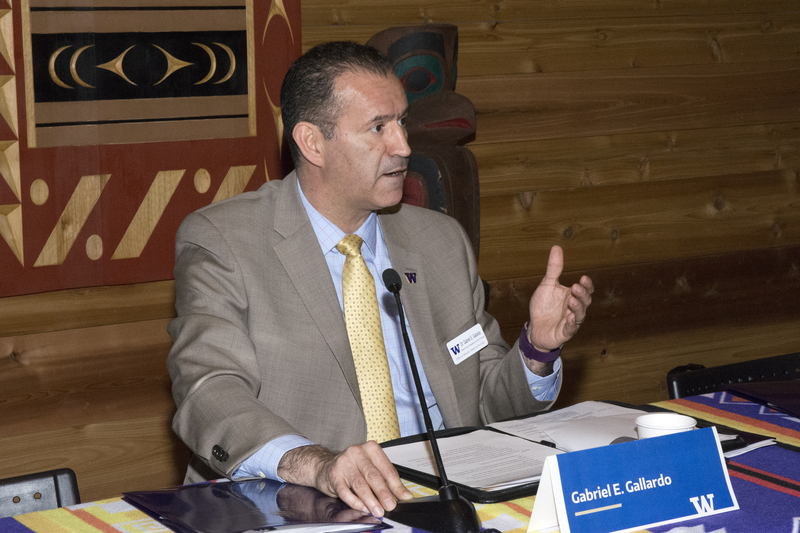 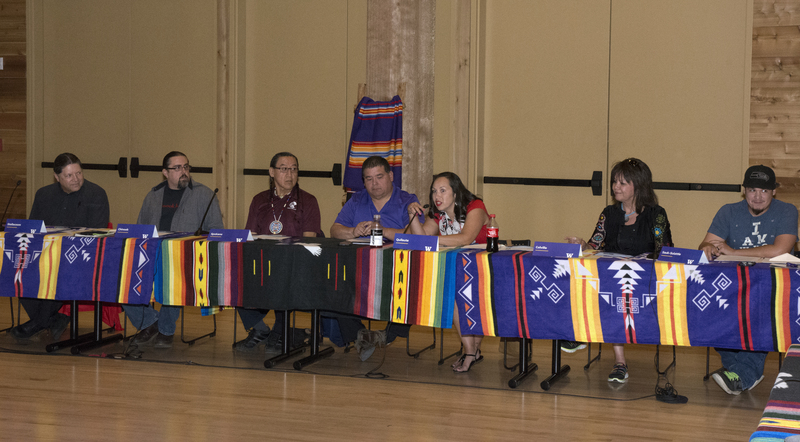 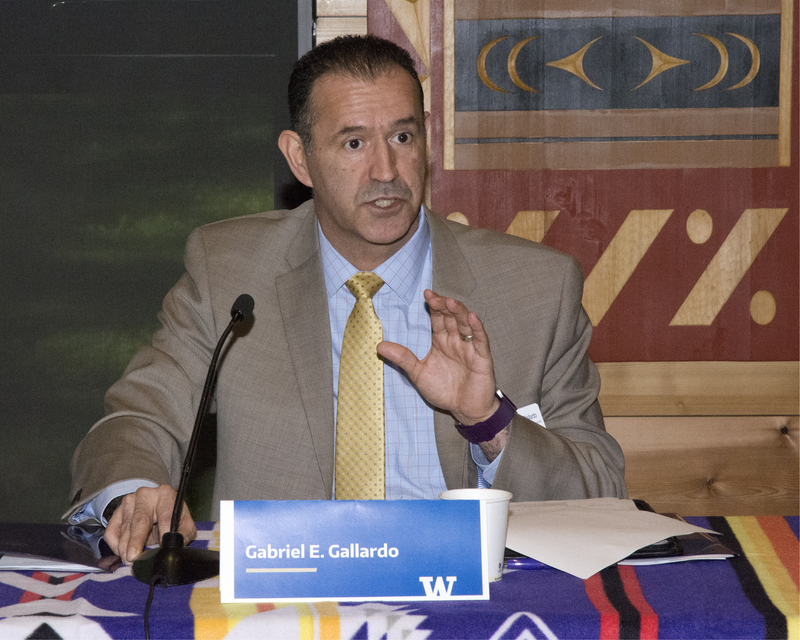 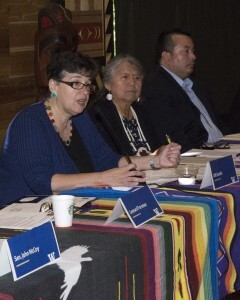 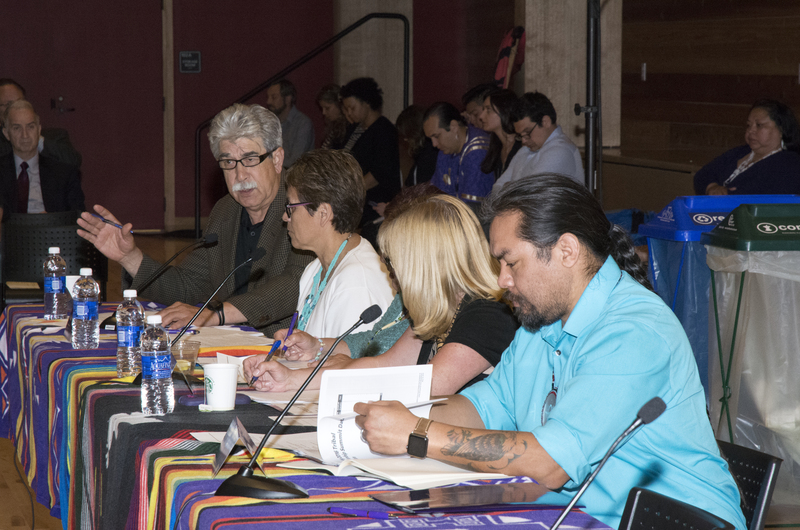 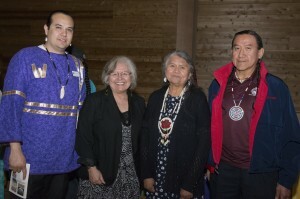 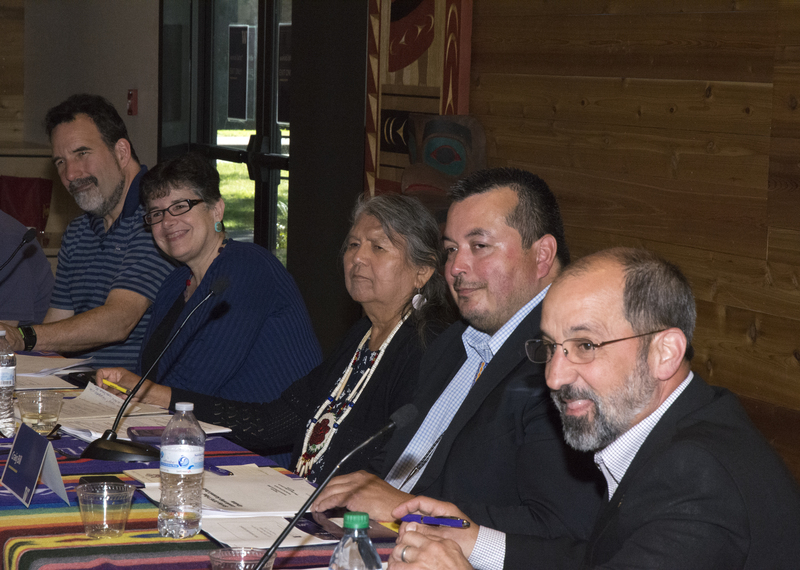 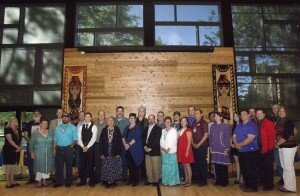 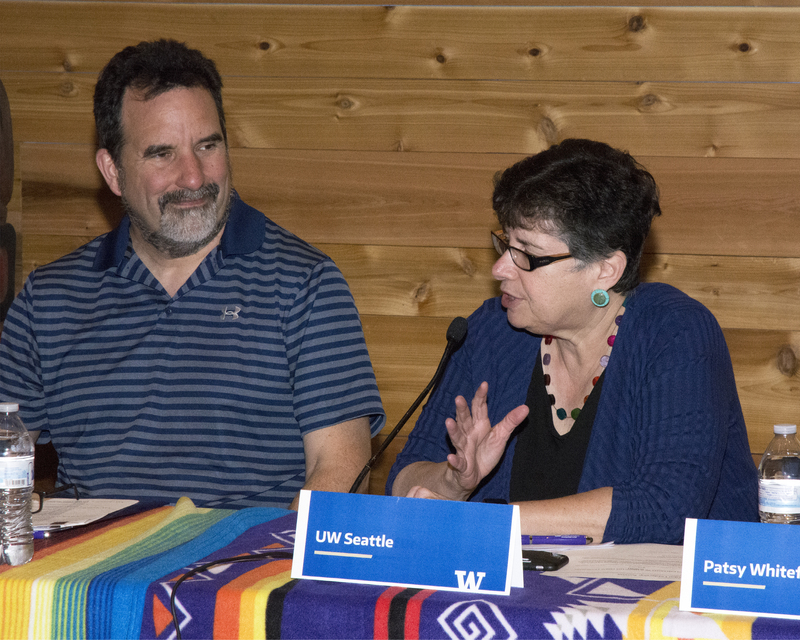 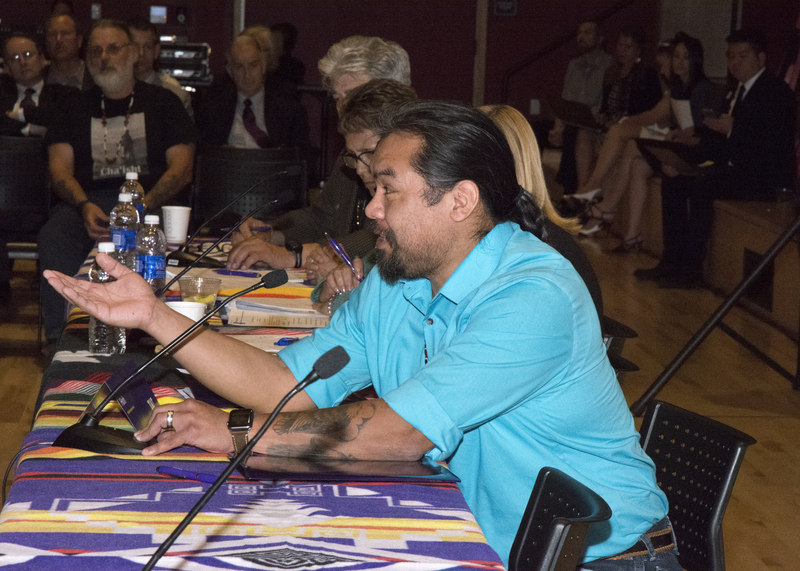 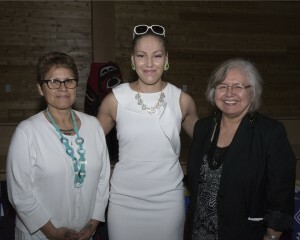 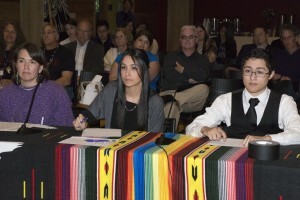 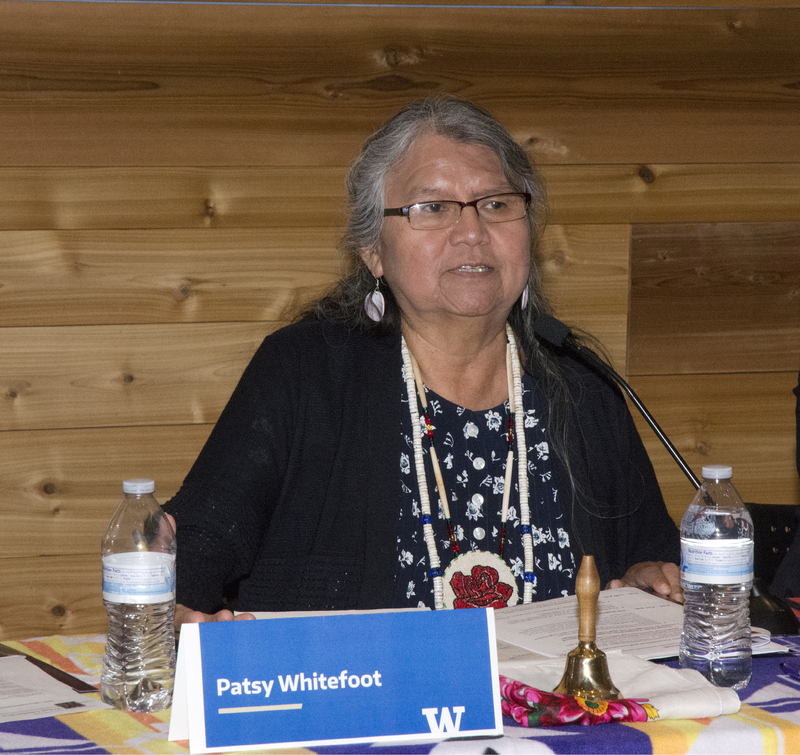 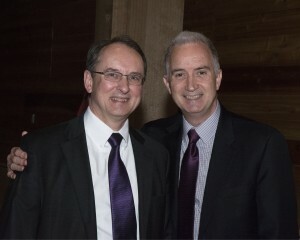 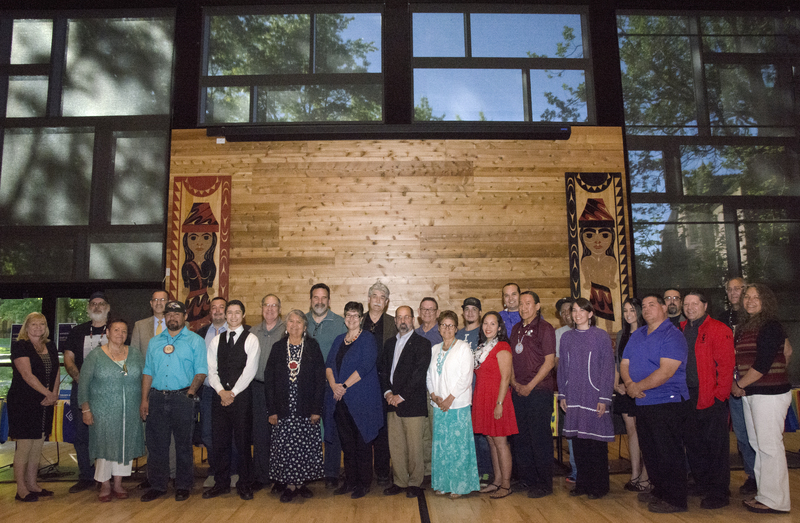 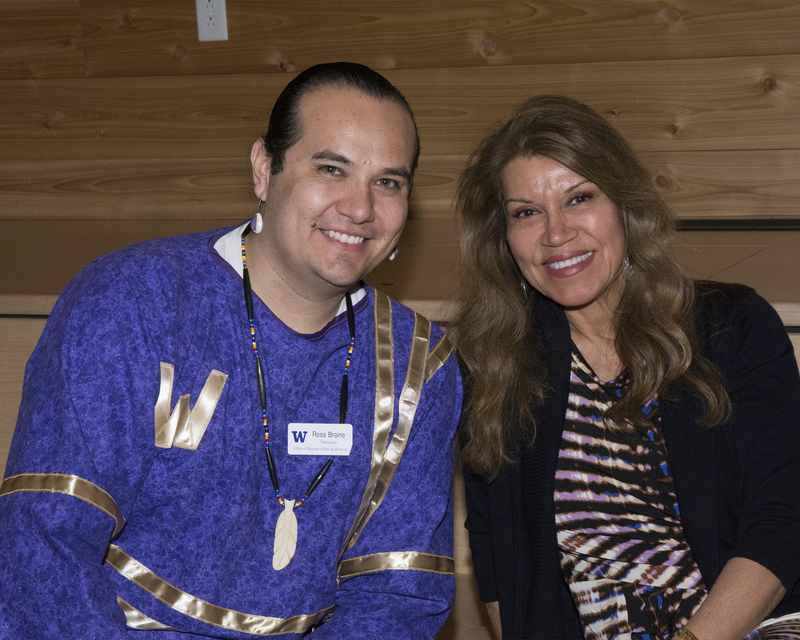 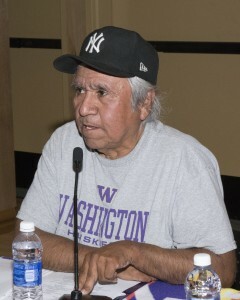 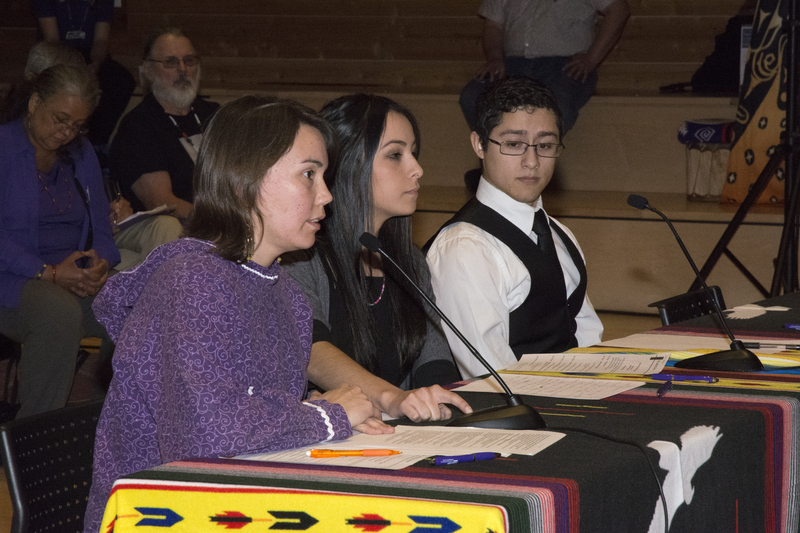 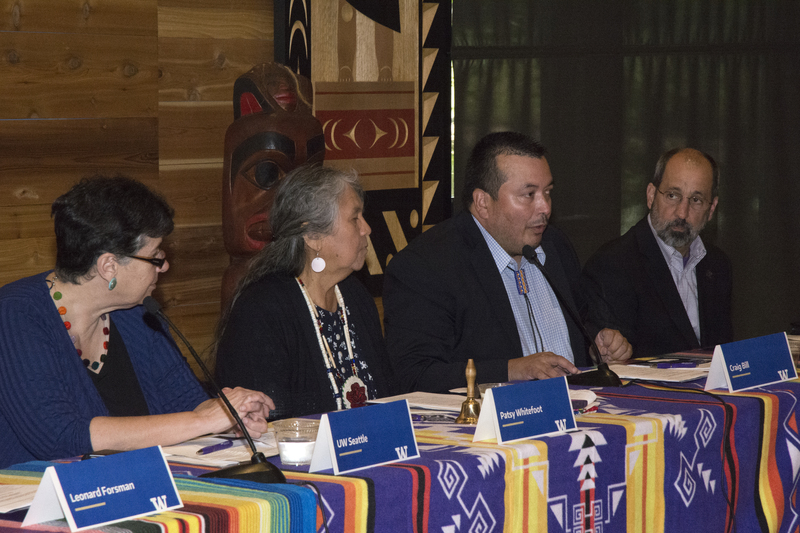 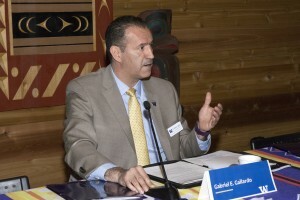 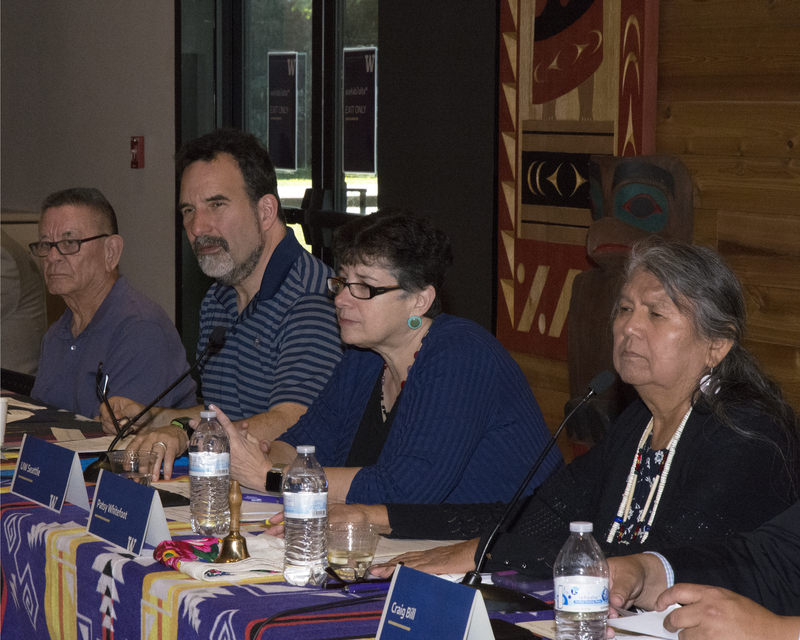 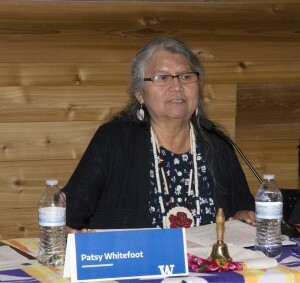 Tribal leaders from across the region gathered at wǝɫǝbʔaltxʷ – Intellectual House to engage in a dialogue with President Ana Mari Cauce and other University of Washington leaders at the eighth annual Tribal Leadership Summit, May 10. 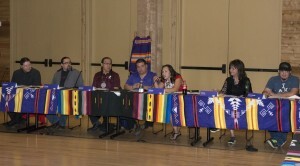 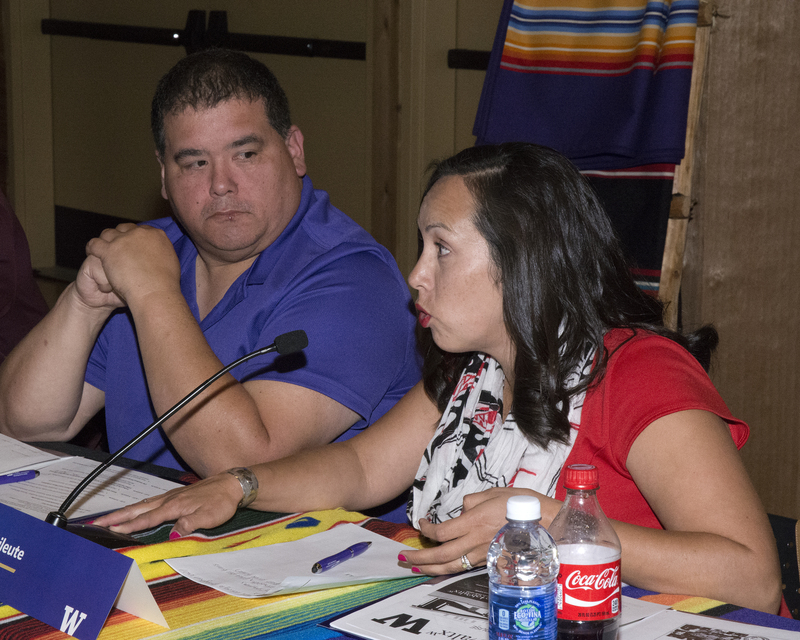 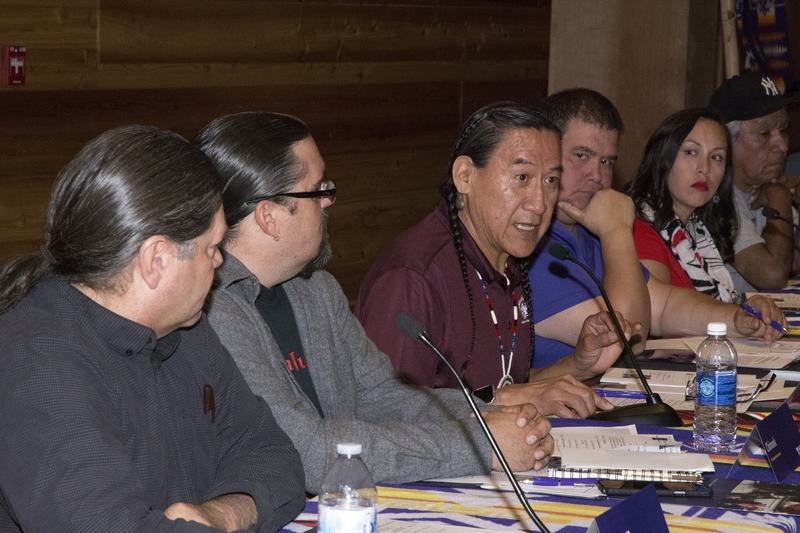 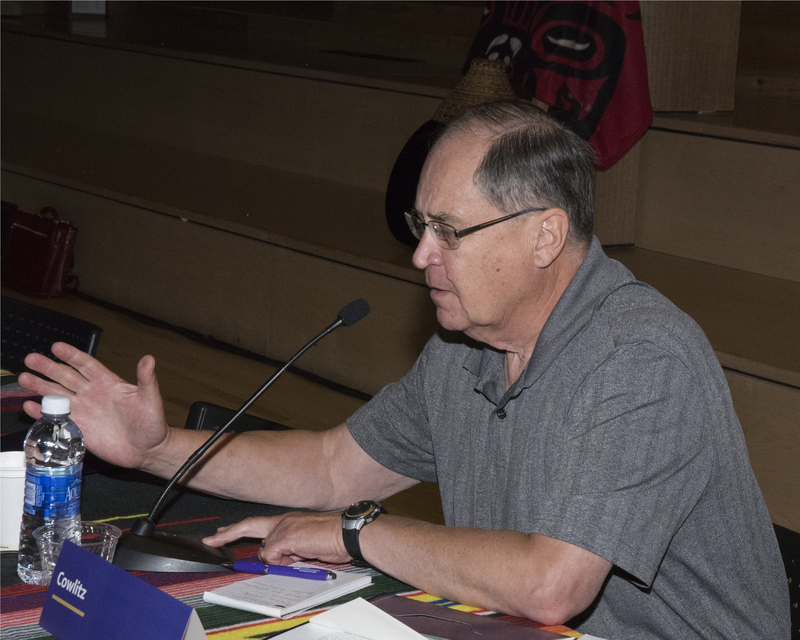 Held since 2007, the summit provides an opportunity for elected leaders of regional tribal governments to discuss issues of important to Indigenous communities with the UW leadership. This year’s agenda focused on topics of water quality, as well as innovation and entrepreneurship. 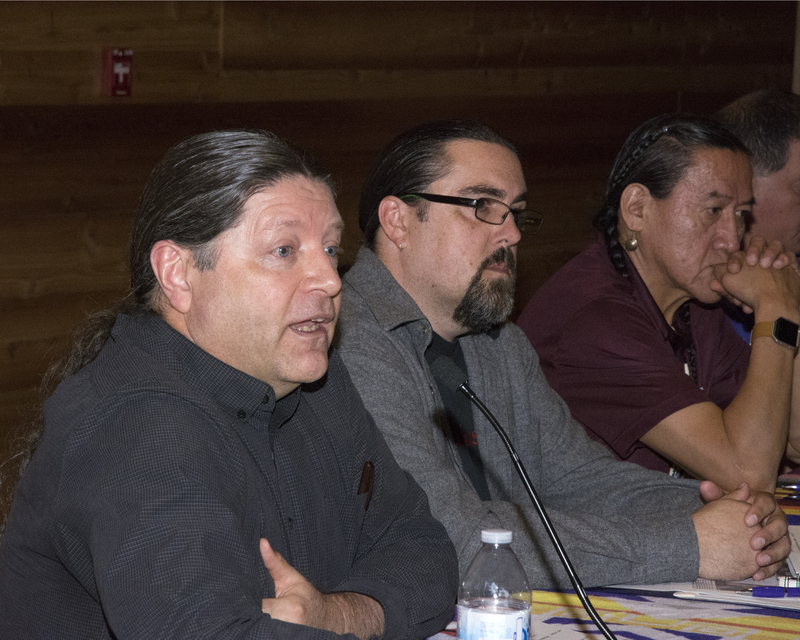 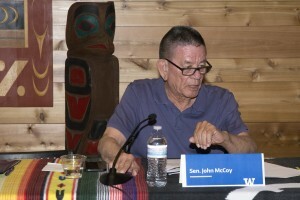 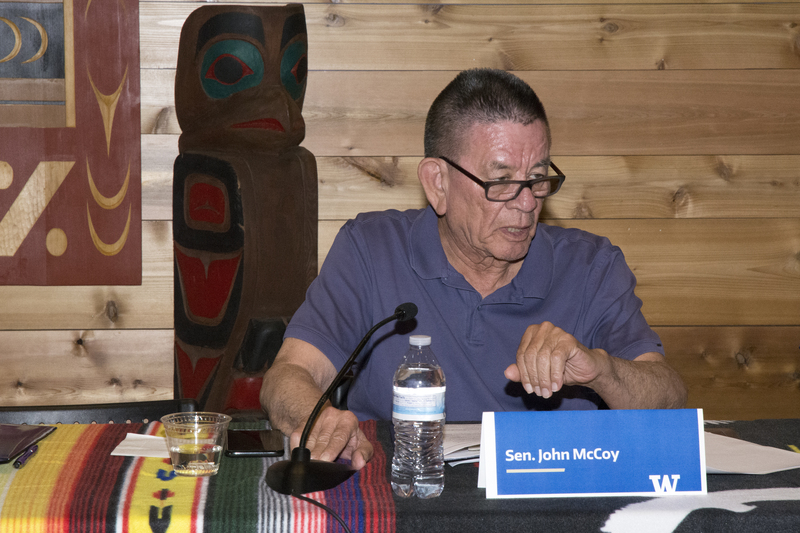 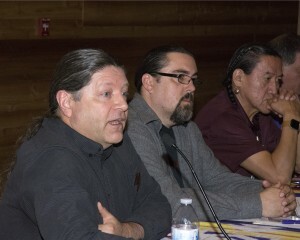 The meeting was hosted by the President’s office and a distinguished committee consisting of Patricia Whitefoot (chair of the UW Native American Advisory Board and president of the National Indian Education Association), Sen. John McCoy (Washington state senator, 38th District), Leonard Forsman (chair of the Suquamish Tribal Council and UW alumnus) and Craig Bill (executive director of the Governor’s Office of Indian Affairs). 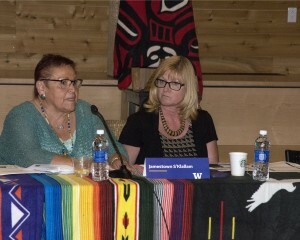 The summit included UW updates from President Cauce, Interim Vice President for Minority Affairs & Vice Provost for Diversity Gabriel Gallardo, American Indian Studies Assistant Professor Clarita Lefthand-Begay, and students Damon Cunningham (First Nations at the UW Chair), Jackie Hayes (American Indian Student Commission Director) and Jessica Ullrich (Native Organization of Indigenous Scholars).